The NFL is one of the most popular sports leagues in America, which is no surprise. Most Americans follow a team, -usually, their home team- from beginning to, if they are lucky enough, the final countdown, the Superbowl. Some of them follow their favorite team ours is the Miami Dolphins fervently to stadiums for live shows, investing an excessive amount of money on football tickets, team's jerseys and much more. Others, still fans, but more conservatives, prefer watching the games at home, with their families and friends, holding a few cold beers and some snacks. 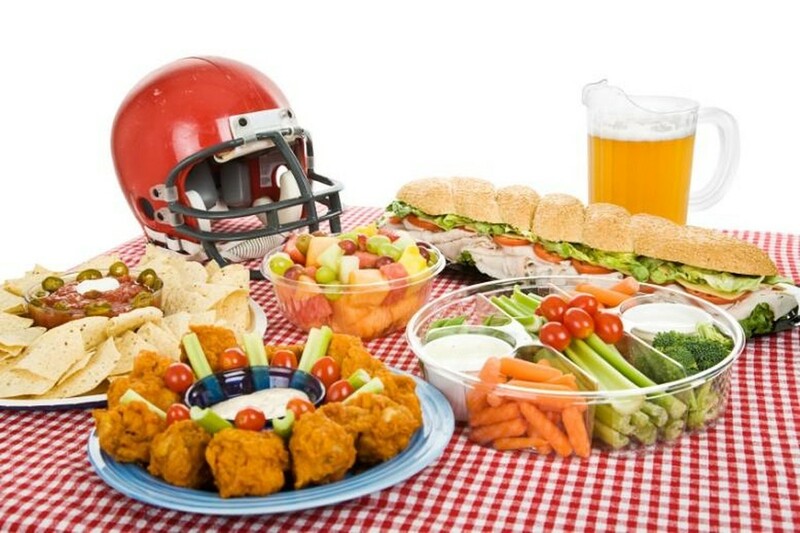 If you are the later person, here we offer you some tips for you to throw the best NFL Football Party. Imagine NFL game is on Friday, today is Monday, and you want to host the most amazing NFL party and watch the game with your peers, build nice memories around a football game, and hopefully, see your team win! It seems pretty nice, doesn't it? Well, for that you need to organize yourself, not that fun anymore right? Don't worry we guarantee you that with these ideas your party will be one of the hottest ones. It's all about organizing your event. 1. Create a list of the things you are planning to have at your party and that you feel they are definitely a must for you! NFL parties have no rules! Is it raining? Is it too hot these days? Are there bugs outside that may come and ruin the day? Now, if you are considering having an indoor party you need to think about the space: How many people are you going to have at the party? What is the perfect TV angle? Do you need extra lightening? Those are aspects that you need to think about and consider! This is one of the most fun tasks for every party host, or well, it is at least for me! There is a wide range of ideas you can use for your NFL party, from DIY to going to a store and getting all the cool football items. If you are not an artsy person, nor have the patience, don't worry, you can always buy or rent from a party rentals Miami website. Just for your information, there are many party supply stores nowadays with full sections devoted to the sports' theme, more specifically, to NFL. Party supplies items include serving ware, centerpieces or any other type of decoration that is appealing and smooth to the eye! 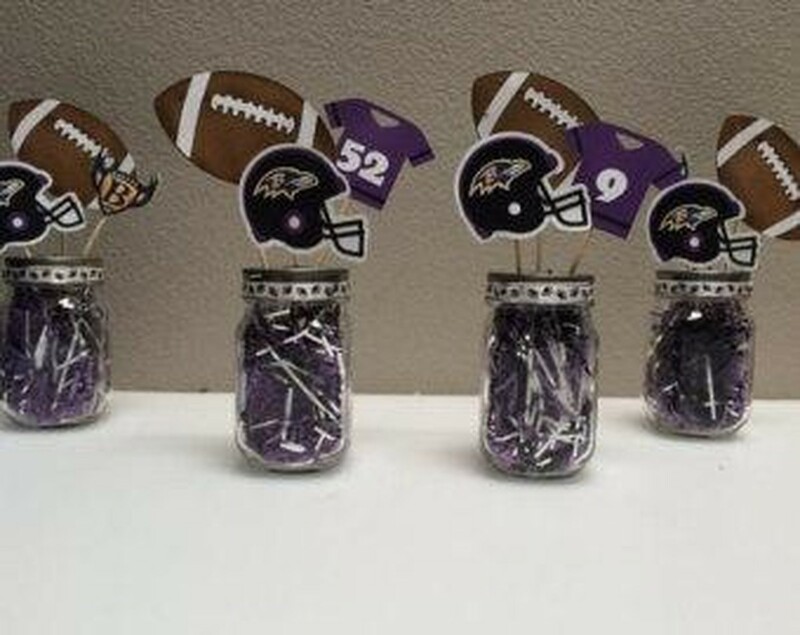 These stores offer party kits which include disposable cups, plates, napkins and cutlery with the logos of your favorite football team, also if you want to add some more decor, you can include some themed balloons and table cloths. Or if you don't want to take more time you can just obtain a Football Decoration Kit for about 15-20 bucks. This usually includes football swirl decorations. Football centerpieces, table cloths, and a pennant Banner. Also, you can create your own banner with some cardboard and a nice set of markers! If you have decided to throw an outdoor party, the sky is the limit! You can play a number of games. If you have some extra bucks lying around, you can research where you can have a custom football shaped pinata! You can either buy some bags of candy or put any item you'd like, whatever can spice things up! You can also have your friends try to tackle a Football Pinata while they're blindfolded. It’s sure to be a great hit at your football party. These five go along really well. First, make sure who will be attending your party so you can make the best food selection, usually snacks work pretty well, now if you to actually have a BBQ, make sure you buy the best meat cuts and sausages. You can also rent a concession machine from Nicky party rental. Booze! You should always have at hand a big cooler with different types of beers, just to meet the taste of most guests, also think about the tiniest guests, the kids, and throw some non-alcoholic drinks too. In case, you are celebrating a birthday you can bake a ball shaped cake! TV and audio are very important matters, so make sure you check them before the game, you can even get a projector if you are expecting a lot of people!